If you do not have a pet in your life, you will have to do a bit of imagining and close observation of those who do, to understand this. Now you may be one who thinks talking to pets is a bit daffy. However, a new study avers that it is a sign of your intelligence instead. 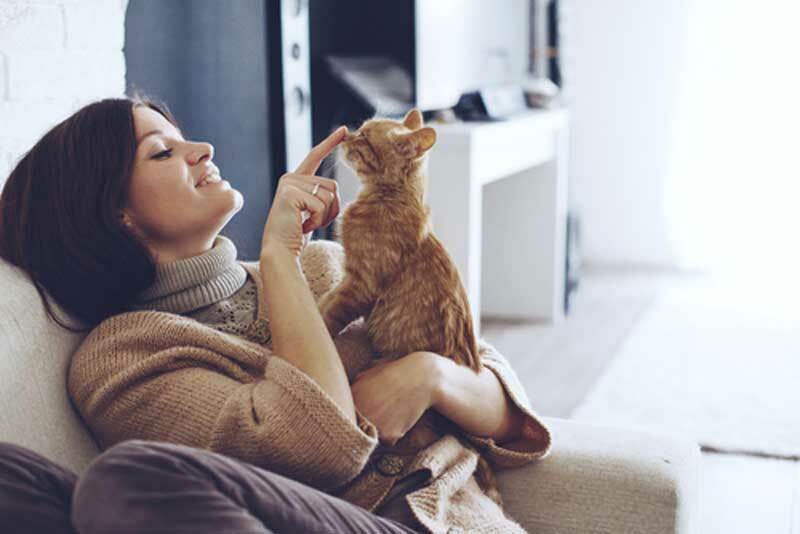 Nicholas Epley, a Behavioural Science Professor at the University of Chicago says conversing with pets is one of the many ways in which humans try to anthropomorphize them. Anthropomorphising means trying to make our pets more like us. Anthropomorphizing has been treated a sign of stupidity and childishness. But, “it is actually”, says Epley, “a natural by-product of the tendency that makes humans uniquely smart on this planet”. “No other species”, he adds, “has this tendency”. For example, we hear people saying, “my cat is acting sassy” or “the stock market is angry” or we ask our car “why won’t you turn on” or call it a “rickety old man” when it acts up. All of these are examples of anthropomorphizing. We do this because our brains are designed to see and perceive minds. Anthropomorphizing helps develop our cognition and intelligence in ways Researchers are just beginning to understand. Recognising a mind in animals reflects our cognitive and perceptual abilities rather than a sign of stupidity, according to them. When you are playing with or fondling a pet or spending time with your pet, your body produces a neurochemical called Oxytocin. This, in turn, not only gives us feelings of joy but also reduces our levels of cortisol; the stress-hormone. It is hard to believe that pets reduce our blood pressure. Researchers at the State University of New York discovered that blood pressure response to stress in people on medication for hypertension went significantly down in them that owned a pet. Surprising, isn’t it? Walking a dog, for example, is found to improve your fitness more than walking with other people. In a study, dog owners were found to average 300 minutes more walk a week than those that didn’t own one, who did only 168 minutes a week. What’s more, dog owners were found to meet 54% more of their physical activity recommendations. American Heart Association avers that lower stress and blood pressure combined with improved fitness reduces risk of cardiovascular diseases. AHA reviewed several studies on the benefits of pet ownership on reducing the risk of cardiovascular diseases. It concluded that owning a furry friend, a dog, in particular, did reduce the risk of cardiovascular diseases in patients that owned a pet. Their survival rates were found to be convincing and impressive. A study published in Clinical & Experimental Allergy says children that were exposed to pets before they turned six months old were less likely to develop allergic diseases such as hay fever, eczema, asthma and fewer upper respiratory infections as they get older. Kids that grow up around farm animals, dogs and cats are found to have not only a stronger immune system but also reduced risk of developing asthma and eczema. Pets relieve depression. They provide social support to their owners. The British Psychological Society studies found that pets promote therapeutic ad psychological wellbeing. They lower stress levels and boost self-esteem. Pets also give us feelings of autonomy and competence. The calming presence of pets and the social bond we share with them relieve depression. Pets help us focus on them instead of allowing our negative thoughts drown us in gloom and doom. Pets give us unconditional love and acceptance that fellow humans hardly give us. All of these serve to keep us healthy and happy. Pets are believed to improve our relationships. Adults who enjoyed a deep bond with their pets were found to feel more connected to not only their near and dear ones but also with communities than those that had no pets. It was found that people that had pets took on leadership roles, tended to be more confident and empathetic. Pets are sensitive to their owner’s behaviour. Some animals can sense, for example, your plummeting blood sugar levels before you do. They get the scent of bio-chemical changes in your body. They, thus, can prod you for a check-up with their behaviour with you when they find something wrong with your health that you may not realize. Clearly, as per new emerging studies, owning pets help us stay smart, strong and relieved of stress more than we realize. If you are hamstrung by a lack of space and facilities that stop you from owning pets, Prakruthi farms in Hosur, near Bangalore, has good news for you. It is a farm house enclave where you can grow a variety of pets that can make a whole lot of difference to your life.